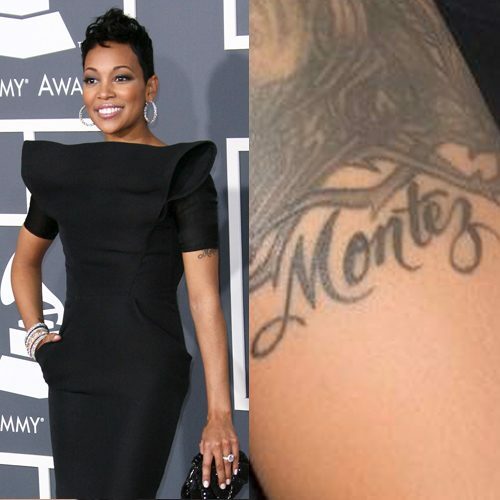 Monica Brown has her younger brother’s name “Montez” tattooed on her upper left arm. 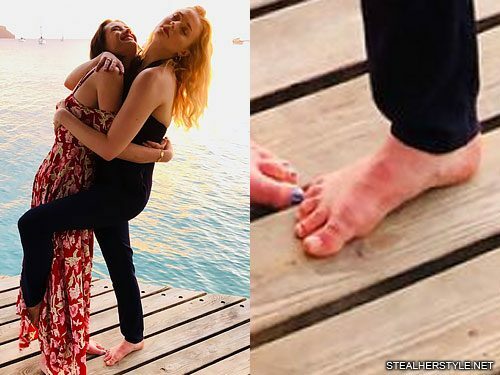 Montez is also the middle same of her second child Romelō Montez Hill. 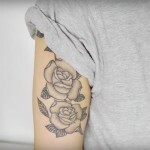 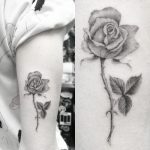 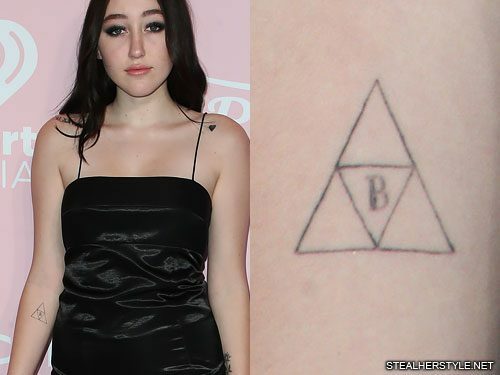 Noah Cyrus paid tribute to her older brother Braison by getting this tattoo of the triforce symbol from The Legend of Zelda video game series with his initial “B” in the center. 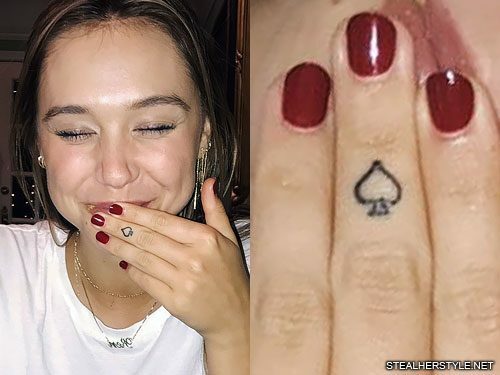 Braison has his own triforce tattoo with an “N” for Noah on his chest. 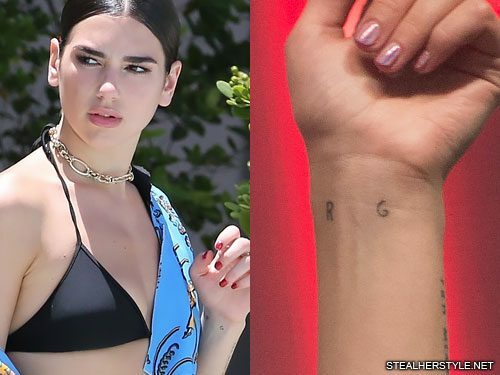 He got his tattoo back in April 2014 when Noah was only 14 years old. 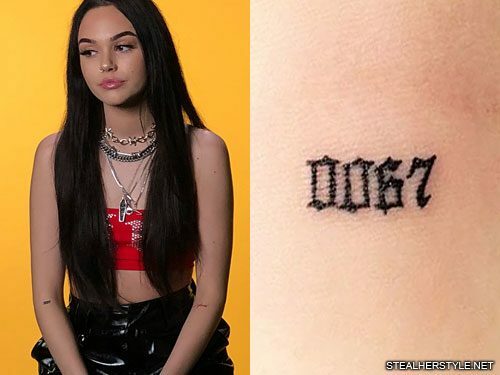 She waited until she was 17 to return the favor! 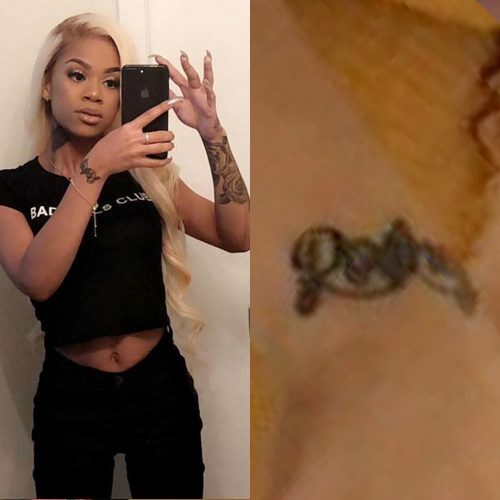 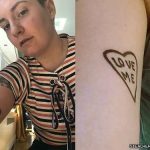 Molly Brazy has her brother’s name – Rodney – tattooed on her right wrist. 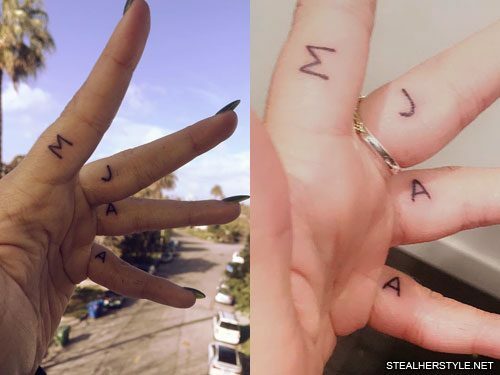 The letters “MJAA” on Andrea Russett’s left hand represent the names of her family members: M for her father Mark, J for her mother Jacqui, A for her sister Anna, and another A for her brother Anthony.